For the past several years, at Christmas, I have tried to decorate with what I already have. I’ve got several bins of stuff in my basement…and I bet you do too! Those bins have been around for a long time so I decided to go through all of them and donate what I didn’t want. Honestly some of it was thrown in the trash because it had really seen better days. I kept only what I absolutely loved and knew I would use. So…about the same time I was purging my Christmas decorations, Target started running commercials featuring the most amazing red and black buffalo plaid stuff. I mean all of it was so incredibly fun. That’s when my new obsession was born. I fell in love with everything. My first purchase was the Adam Lippes for Target throw. From there, everything else just fell together perfectly. I am so excited to show you and I promise it will be easy and budget-friendly. Nothing I have planned will break the bank. 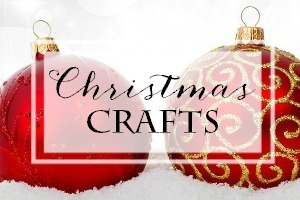 I’ll be sharing a no sew table runner from flannel fabric, gift wrapping ideas, handmade ornaments, table setting ideas, printables and a few other things I will surprise you with. Here is a preview with some shopping links below. Disclosure Note: Some links lead to shops and websites where I am an affiliate. Click HERE for my disclosure statement. 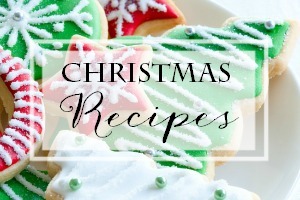 We will do this together and make this Christmas lovely and festive on a budget. Pick and choose your favorite projects or follow along on all of them. I’ve never done a themed Christmas before and I must admit it’s put a spring in my step. I can’t wait to get started. Now…because I couldn’t help myself, I put together a little shopping guide with the best red and black buffalo plaid things I could find. I didn’t just stick to decor but included other things as well. 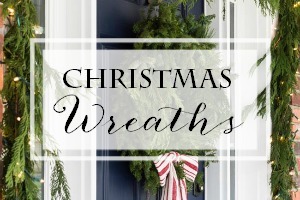 So get ready to deck your halls and spread some Christmas cheer! Click the images below to see projects and decor from previous years. Thanks for stopping by…see you soon! 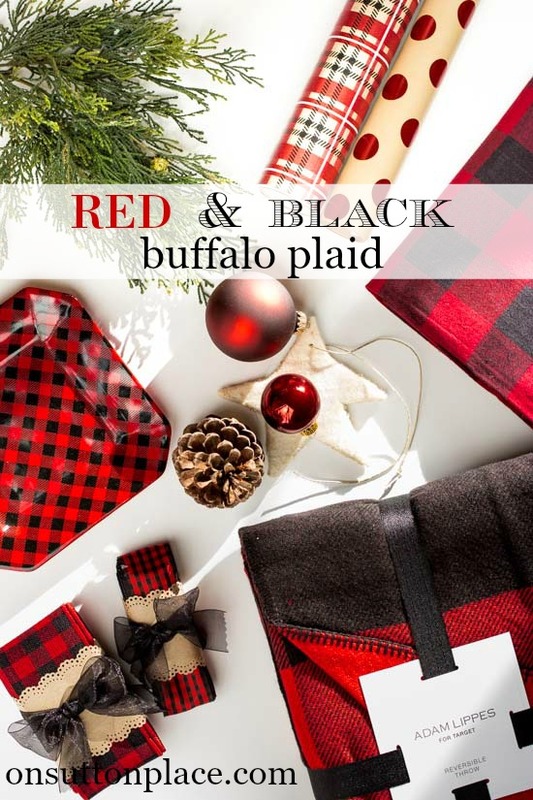 I love the red and black buffalo plaids! A few years back, Target had some red and black plaid Christmas items. I got a large Santa dressed in a buffalo check jacket, rowing a birchbark canoe, and a garland with plaid ribbon. I love them, and will be looking forward to adding some more buffalo plaids this year! Can’t wait to see your upcoming posts! ~Ann (my middle name is Sutton)! I love all of your selections but I *especially* love the flats!! Unfortunately they are not in my price range! haha! And I need another scarf like I need a hole in my head. But you picked out some eye candy pieces for sure! I look forward to what you have to share with us! Loving the red & black buffalo checks. It just says “warm & cozy” to me. I found a child’s chair painted red w/red & black buffalo check seat cover several years ago that is just made to sit beside the fireplace throughout winter. Some of these accessories will be perfect, too. Your blogs are always so inspirational, beautiful & fun. Can’t wait to open each one! Ann,are you going to have some of your Christmas at society 6? Okay i am with you let’s see what kind of fun this will be! thanks Ann. Thanks for sharing all your wonderful ideas. I look forward to your blogs each week! Question on the printables. Do print on regular cardstock? What size frames did you use for the three prints in your entrance hallway? 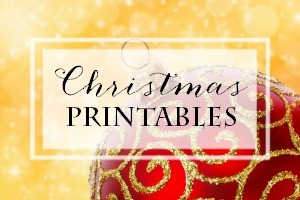 Yes I print on cardstock from the scrapbook aisle at Hobby Lobby. I usually have a stack of ivory and white textured cardstock on hand. The frames are 11 x 14 with ready made mats I got at HL. The opening in the mat is 5 x 7. Hope this helps! Ann, I am on board!!!!! I am so excited to do this with you that I emailed your link to a friend of mine. She is going the champagne color this year both in her church decorating and home, but I know she will love this idea. I haven’t changed things up in years. Just seeing all your red/black plaids has me drooling. This is one of your best ideas, and I appreciate that we won’t be breaking the bank. Thank you so much!! Ann, I love all the ideas using red and black plaid. I’m contemplating us in it this year. I do love plaid an have for years. Love it!! 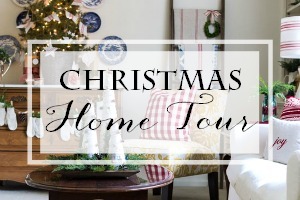 So festive and homey…. Can’t wait to see more of your holiday decorating. So excited to see your upcoming posts! Love buffalo plaids. They are so farmhouse cottage without being too “sweet”. See you in your Christmas posts! I love it! Red/black buffalo plaid has always been a favorite of mine and of course, as I live in a log cabin in the Great North Woods of Maine, it goes perfectly with my décor. My first memory of buffalo plaid was my grandfather’s wool hunting jacket. It has always evoked a feeling of warmth, and comfort in me. Thanks for all the sources as I love to use it in my cabin year round but it certainly does brighten up the winter days particularly. It will make for very cozy Christmas, for sure. I can’t wait to see! It’s like Christmas morning! I am so crushing on buffalo check now. Your ideas will help me go ahead and make the leap. Love the red and black plaid,for your Christmas theme. Looking forward to seeing how you bring together. What I like about the red & black plaid it can go playful, cozy, or fancy.. 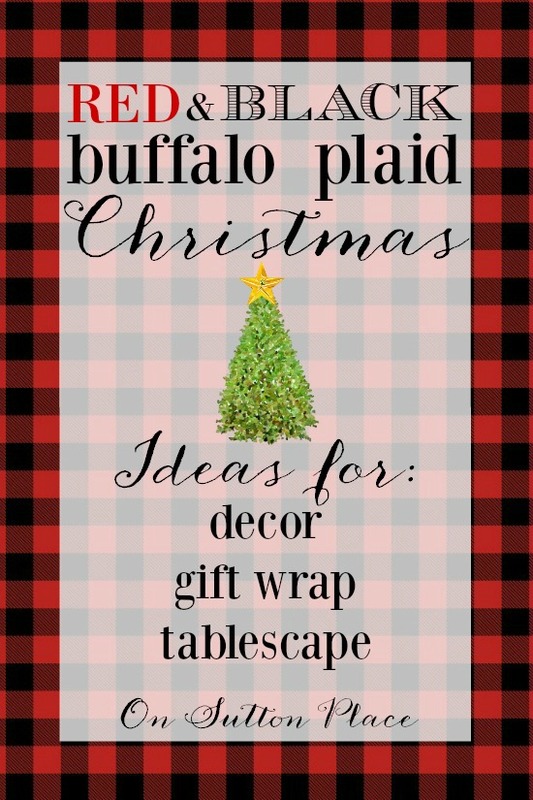 I adore buffalo check and can’t wait to see all the fun ideas you have in store. This theme will create a warm and cozy feeling environment for sure. Ann, love all the plaid,I got a good start on it all last christmasith purchasing everything I needed to do up the master bedroom. Can’t wait to add a few more touches on the items you will be creating. 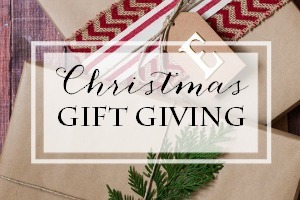 I have always loved plaid, and have collected over the years Pendleton throws, shirts, jackets and whatever, so you can see how excited I am to craft along with you and your ideas. You are one of my very favourite bloggers. I love red and black anything……can’t wait to see what you have planned……Excited!!!!! I love this. But then red is my favorite color and when you add a touch of black you can’t go wrong. The buffalo check gives it that warm and cozy feel. Love plaids and always have. The Target website doesn’t state where that throw is made. Can you tell me from the label? Can’t wait to see your other ideas. I finally remembered to look on the label for the throw. It was made in China. Girl, you have got it going on! I’m going plaid this year, too, but it’s GREEN! All based on a piece of fabric that I found at a discount this summer! It’s been fun finding ribbon, etc. to match. I’m going to purge in just a few days, too! Me, too. I love red & green plaid! Hi Ann. I like the buffalo plaid and think it’s quite fun. Can’t wait to see how you decorate with it for Christmas. Sadly, it is not something that will go with my decor at all so I’ll be traditional and vintage again this year. Happy November to you. Love it! Festive and classic! I think I’m ready for a change too! I’m going to follow along and update my Christmas decorating too! Can’t wait to get going! I love the Buffalo check…….love,love,love Oh did I say Love !!!!! Thanks for all the ideas . I did a swags around my outside doors last year with the ribbon . I usually don’t do the same thing two years In a row but I will this year ???? All of this looks so festive. Last year – our first in our new house – we did a big tree with vintage decorations and two smaller ones with VA Tech ornaments. This year I’ve already decided on a small tree with travel ornaments. I hope to make some using pictures of us from our trips. I am always happy to hear from you. I hope you have had a lovely fall and best wishes for a blessed Christmas. Have you also seen the buffalo plaid ornaments at Pottery Barn? They look like they could be made somehow on a budget. I saw a few of the PB buffalo plaid things but I have not seen any ornaments. I will definitely hit up their website and check it out. Thanks!